Put your passion on display and set the scene for red-hot romance! 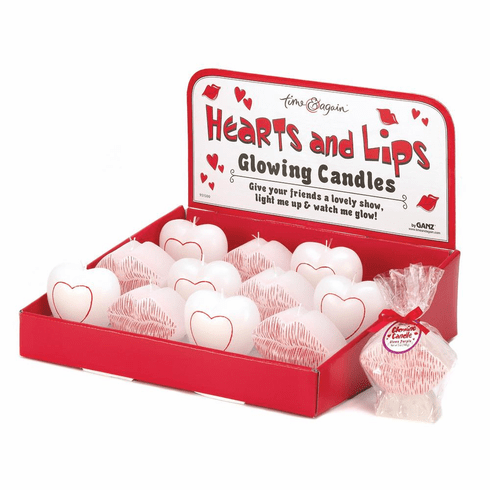 Fanciful heart and kiss-shaped candles instantly enliven the air with an amorous glow. Each heart is 3" x 1¾" x 3" high; each lip is 3 x 1 x 2¾" high. Paraffin wax. each, sold in a pack of 12. Weight: 4.4 lbs. UPC# 661371010373.